The record of my breakfast at Tsukiji last week. “Bon” is the Japanese ritual ceremony to welcome the soul of the ancestor from the heaven and to send them off. 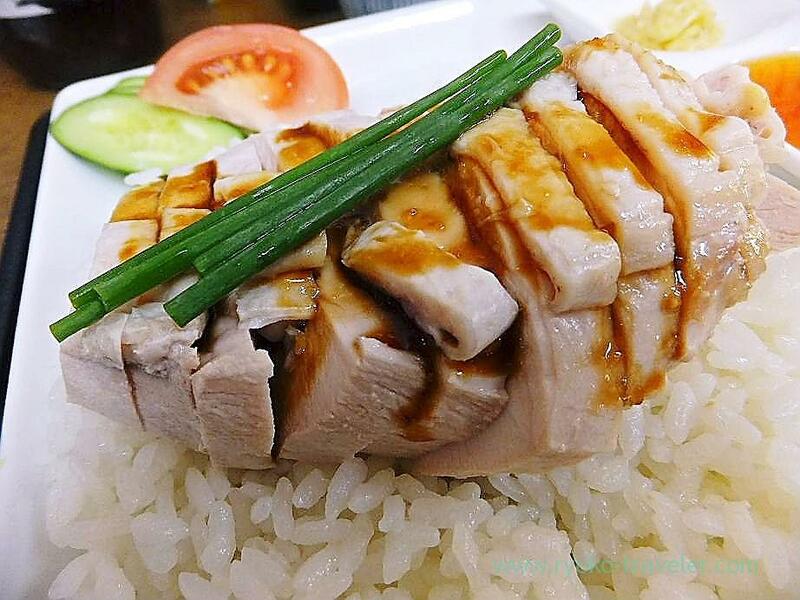 August 7th (Tue) Singapore-style chicken rice (シンガポール風チキンライス, 950 yen). I visited Tsukiji two consecutive days. 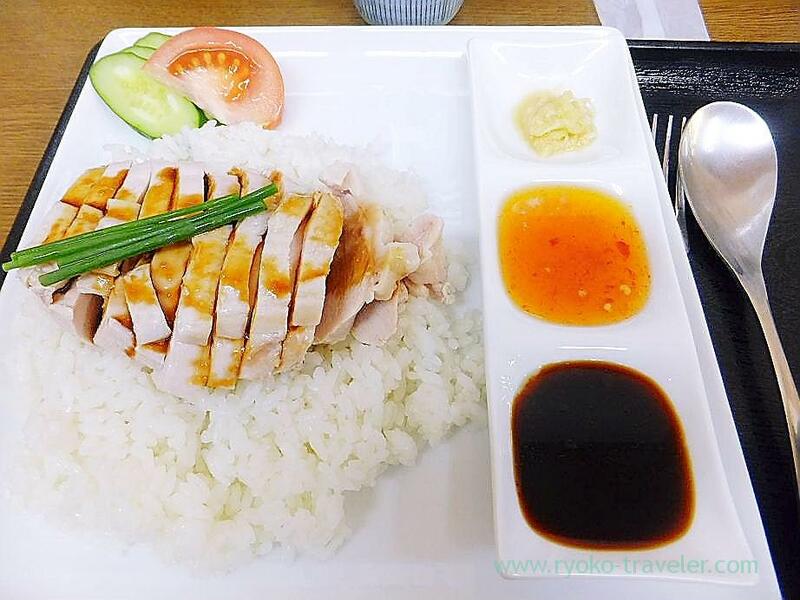 My target was Singapore-style chicken rice that day. Limited summer. It came with stylish plate. Grated ginger, chili sauce and soy sauce seasoned sauce. Chili sauce was too sweet. Soy sauce seasoned sauce was too simple. But mixing every sauce and grated ginger altogether made perfect sauce. The brisket was light. It’s good for muggy summer.